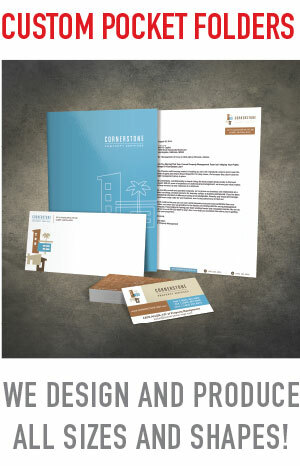 Presentation Folders are a great way to let customers know you mean business! Do your custimers percieve you and you business as professional? Do they perceive you as a business that pays attention to detail? Whether you want to believe it or not, a prospective customer is watching your every move and they notice a buttoned-up professional presentation vs. a hodge-podge, disorganized one. They appreciate the extra effort in providing them with well-organized marketing materials. 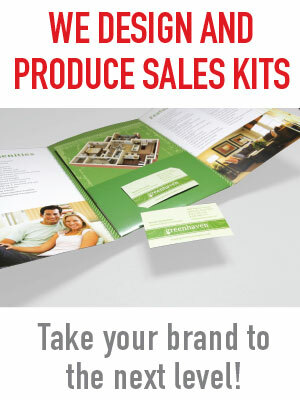 Organization - You provide your cutomer with a "holder" for the marketing materials you provide them with. This enables them to keep information about you and your company all in one place fro future reference and there is little chance your materials will get lost in the shuffle. Dynamic Use - Pocket olders can be use for a variety of branding and marketing purposes. You can submit your marketing materials, provide a hardcopy proposal, and provide follow-up paperwork all with one branded piece. Long-Term Service - Pocket folders literally become file folders for customers. By providing them with a place to keep your information, you will likely stay around the office long after the tri-fold brochure is gone. customers will also use the folders you provide to add future materials they recieve from you.